The case seemed open and shut. Los Angeles County Sheriff’s Sgt. Justin Walter told a jury how he had pulled over a sport utility vehicle for an expired registration tag. The veteran sergeant went into detail about the stop — how he saw the SUV’s passenger sneak his hand between his seat and the center console. How he had considered the man’s furtive movements suspicious and decided to search the vehicle. And how he had found a few grams of methamphetamine in the spot where the passenger’s hand seemed like it had stuffed something away. But more than a year after Walter’s testimony led to the conviction of Emil Alseranai on a drug charge, the case has become focused on what the sergeant did not tell the court or anyone else involved in the case: that Walter had previously been found liable by a federal jury in a civil lawsuit accusing him and other deputies of using false evidence or false testimony in a man’s arrest. Now, Alseranai is seeking a new trial. He is arguing that the sheriff’s sergeant and the prosecution team violated his right to a fair trial by failing to notify him of the 2010 civil jury verdict. That evidence could call into question Walter’s credibility as a witness, Alseranai said. The case comes amid heightened public scrutiny in Los Angeles County over how much information authorities are required to tell criminal defendants about accusations of misconduct leveled against law enforcement officers who testify in their cases. 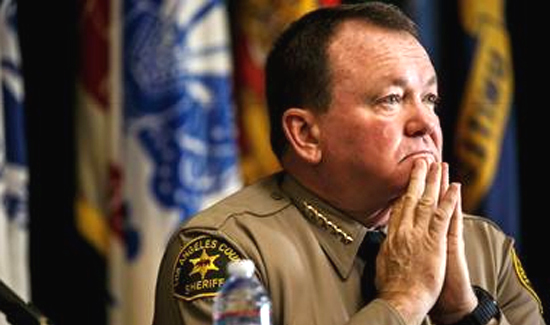 An appeals court is weighing whether Sheriff Jim McDonnell can provide prosecutors with a list of roughly 300 deputies who have histories of being disciplined for making false statements, stealing, using excessive force and other serious misconduct. A deputies’ union took McDonnell to court last fall, arguing that disclosing the names would violate state law protecting the confidentiality of peace officer discipline files. In Alseranai’s case, however, the information he says should have been disclosed isn’t a confidential police record — it’s a public jury verdict against an officer.